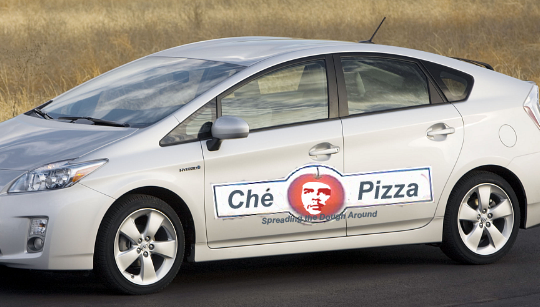 Our story starts at the Ché Pizza Parlor, a new age pizza parlor in that they make socially responsible pizza and deliver them in hybrid compact cars. One day the owner was in a pinch when one of her delivery persons called off to go protest something. You see Ché Pizza provided its employees with “social justice” time much like traditional employers provided vacation or leave time. Left with no other options the owner donned her cap and started to make deliveries. 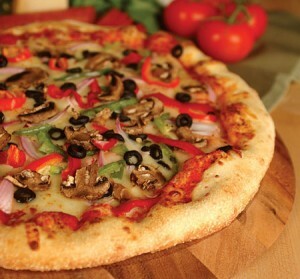 Ché Pizza was located in a suburb of a rather large city, Demotropolis. The township had been a farming community that became developed after high taxes drove folks away from Demotropolis. The suburb was unique in that you would find very upscale mansions nestled into much older areas and you could find both rich and poor within adjoining neighborhoods. It happened this day that the owner had two deliveries in one of these areas. As she pulled up to the first delivery she noticed that he owners must have been poor as they only had two older cars, and a big screen television that she could see through the window, but it wasn’t a plasma and was probably only 46 inches. Thinking about all that she had she felt bad for the people as she delivered their pizzas and case of cold beer (no you didn’t hear wrong as beer delivery was not fictional in this state). She wondered how these obviously poor folks would be able to afford the cost of the pizza and beer. At that time the owners brain shrunk three sizes and decided that she would give the pizza and beer to them for free. In order to save face for the family she explained that they had won a contest and drove off feeling very good about herself to her next delivery. This neighborhood had a gate where she had to be buzzed in. As she drove up the very long driveway to the house she noticed the contrast to her last delivery. These people had three late-model SUVs parked in the driveway. She could tell that they had money and probably lots of it. It didn’t seem fair that these people had so much while the last house had so little. This was America after all and we should all be equal as the Constitution guaranteed. As she got their order ready she thought back to how she had felt when she gave the food and beer to the prior customer. The act had made her feel pretty good, but as a small business owner she was concerned about what her social justice would cost her business when an idea hit her. You could say that her brain shrunk even more and her heart grew just a little darker. These rich folks could certainly afford to pay more for their pizza and she decided right there to change the total to cover the cost of their pizza and the order from the previous house. She was nervous about the total, but they hadn’t asked the price when the order was placed and she was somewhat relieved even though the husband questioned the amount, but didn’t squawk too much and paid. “That was easier that I thought” she said to herself as she drove out the driveway. Chuckling to herself a plan came into her head. “Why not adjust the price our my pizza based on where you live and what you could afford?” With Google Earth she could look at the delivery sites and set prices based on what you could afford. She would still make the same money, but the “rich” people would supplement the poorer people. It was the perfect scheme. Pizza to each according to their hunger and from each according to their ability to pay. It didn’t take long for the less fortunate to catch on to the system and one of her best customers was the family living in the first house. It seemed like they ordered pizza and beer every day and they placed increasingly larger orders. She did notice during the most recent delivery that they had a new car in the driveway and an empty plasma screen television box left at the curb. She felt good about how she was making the world a better place. She was, however, concerned that the wealthier neighborhoods seemed to be ordering fewer pizzas. She never thought that the rich folks would know or even care about paying $25.00 for a large pizza as they had a lot of money. The balance was rapidly tipping and she was starting to lose money as the orders from the rich families no longer balanced the cheap or free pizzas to the poor. As she didn’t want to continue to lose money, she raised the price on the rich folks and even started charging a little more to the poorer folks. Satisfied with her solution she was surprised to find that evening no orders for pizza from the wealthy neighborhoods and a swarm of people in front of her store. They were upset that she raised their prices and were protesting. They even trashed one of her delivery hybrids. When she explained that the rich people stopped ordering and therefore were no longer supplementing their purchases they just didn’t care. In their mind she was a wealthy business owner who should pay out of her pocket. Unraveled by the spectacle she closed Ché Pizza Parlor for the night and sent her employees home (without pay). She had to stay at her shop until the glass contractor showed up to board up the plate-glass window broken by one of the protesters. On her way home she passed the wealthy neighborhood and noticed a pizza delivery car turning in to the plan. Curious she followed and sure enough it pulled into the driveway of the house where she overcharged her first customer. They obviously still desired pizza, just not hers. She noted the name of the rival shop, Freemar Pizza Express, and thought that it didn’t sound like a place for good pizza. She also noted that they had a web page and decided to take a look. It seems that Freemar Pizza Express offered “great pizza for an even greater price” and she was disgusted to note that there didn’t seem to be any discounts for less privileged people. “That’s just not justice or fair!” she thought to herself. As the weeks went by business at Ché Pizza Parlor progressively got worse. The owner even changed her pricing structure to make prices more even, but the wealthy people never came back and the other folks continued to complain until she finally baked her last crust. This article was published on Sep 21, 2010 . It is tagged broken window, che pizza, constitution, crusty conundrum, delivery, demotropolis, economic, freemar pizza, henry hazlett, my favorite, pizza, poor, rich, suv, wealthy. You can follow any responses to this article through the comment RSS feed. You should be an economics teacher. This article perfectly illustrated the consequences of communism and socialism in a memorable way. Thanks for reading. It’s weird sometimes where the ideas come from and lead. 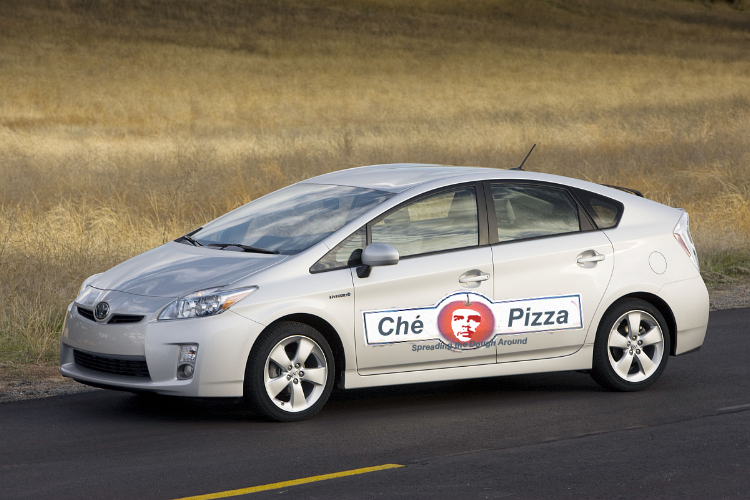 I took a photograph of a prius pizza delivery vehicle probably a year ago and never used it. I still didn’t use it, but it gave me an idea for the illustrations.